It began with a bang, back in 2004. When Carlos Tevez moved from Boca Juniors to Corinthians for a Brazilian-record $18m, their new owner MSI’s frontman Kia Joorabchian promised it hailed a new era for the club and even for Brazilian football as a whole. Javier Mascherano followed shortly after, arriving from River Plate for $15 million. 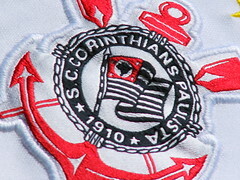 Corinthians won the Brazilian championship that first season. Three years later, this Sunday Corinthians were relegated from Brazil’s top division, the Brasileirão. MSI and Corinithians had signed a 10-year deal guaranteeing they would provide $35m in cash ($20m to pay off debts) in return for 51% of future profits while covering any losses. But the truth was murkier from the start, with MSI’s real status shrouded in secrecy. Rumours about which Russian oligarch(s) money might actually be behind London-based MSI churned and churned, with Boris Berezovsky and Roman Abramovich fingered as prime suspects. Then, of course, came the protracted farce of the Tevez “transfer” to West Ham and then to Manchester United, with similar confusion over the status and ownership of Mascherano. Meanwhile, disputes between management and ownership went on endlessly, and Corinthians employed seven different coaches in two years. In July, Corinthians broke their relationship with MSI after a Brazilian judge ordered the arrest of Joorabchian and Berezovsky for money-laundering. Three weeks ago, Corinthians former president Alberto Dualib was suspended for three years by Rio’s Supreme Sporting Tribunal for irregularities in their dealings with MSI, as it was alleged he had allowed the club to be used as a money laundering front for MSI. The tribunal resulted from a federal police investigation, as the team’s bank accounts were frozen by the authorities and several directors were put under surveillance. Police recorded telephone conversations between them and MSI, and in one Dualib reportedly said that Corinthians won their 2005 title only because the competition was fixed. And on Sunday, Corinthians — Brazil’s second most popular club, and winners of the 2000 World Club Championship — were relegated after their 1-1 draw with Gremio left them in seventeenth place. Investment this season meant not the purchase of a Tevez, but second and third division players. Galácticos are nowhere to be seen. There is something particularly distressing about this having happened to Corinthians, who were the object of perhaps the most successful attempt at “player power” in the history of top flight football (the “Corinthinan Democracy” led by Socrates) and were often seen as representing progressive values in a country that has not always been hospitable to same. And yet, even as someone who has always had a soft spot for them (largely for the reasons noted above), I can’t help but wonder if relegation isn’t for the best in some respects, as it has the potential to rid the club of the various parasites who have been using it for their own purposes. At the same time, however, I wonder if we are going to see another Texeira special, in which the CBF changes the rules so as to save a “big” club from going down.